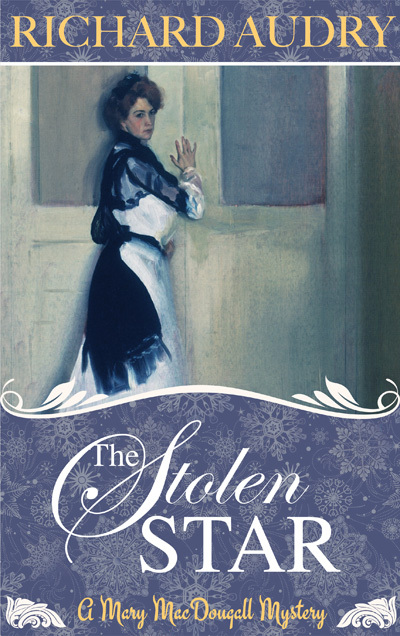 My new Mary MacDougall mystery, The Stolen Star, is fast approaching the finish line. And I just wanted to show off the novella’s cover. Steve Thomas did a great job on the design again, using public-domain art that Sue and I found. The painting is “Girl in White” by Alfred Maurer. Interestingly, the painting itself resides in the collection of the Weisman Art Museum, just a couple of miles up the Mississippi from where we live. We’re still a month or two out from publishing The Stolen Star as an e-book. For those who prefer paper books, we’ll be doing a print-on-demand edition pairing Star with its precursor, A Pretty Little Plot.